Alexander Technique teaches you to be easy and comfortable in all your daily activities. The Alexander Technique is about training the mind-body connection. You will discover that you do not need special exercises to free yourself from tension. Whether you are sitting in meetings, driving a car, or performing on stage you know how to immediately become more comfortable. It gives you the awareness and control to stop the tension habits that cause pain and poor posture. Stress levels go down, breathing deepens and movement becomes efficient and pleasurable. 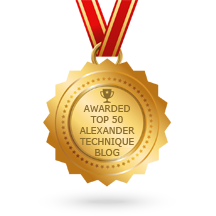 Alexander Technique is appropriate for anyone who wants to move with ease and coordination. There is no age or activity level required for lessons — I’ve helped people from age 9 to 85. I work with anyone suffering from stress, with folks in good health and with chronic illness, with disabilities or injuries, with women during pregnancy, and with athletes at top levels of athletic achievement. Is there any scientific evidence for the Alexander Technique? Alleviating Back Pain: At the one-year follow-up, patients who received 24 private lessons in the Alexander Technique reported only three days of back pain per month. In contrast, patients who had no care had 21 days of back pain per month. Patients who had massage therapy had 14 days of pain per month. Patients who had six private Alexander Technique lessons had 11 days of pain per month. Preventing Repetitive Stress: My own research has shown that Alexander training gives people the ability to reduce muscle activation in the forearm during computer tasks. This finding supports the use of Alexander Technique for prevention and recovery from Repetitive Strain Injuries at the computer. 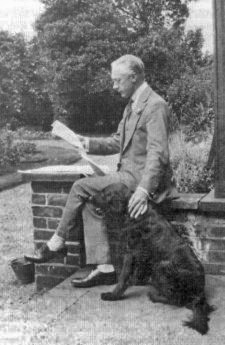 Frederick Matthias Alexander (1869-1955) was born in Tasmania, and would never have invented his work if his acting career had not been threatened by recurring hoarseness. The problem proved resistant to medical treatment. Alexander used mirrors as a low-tech biofeedback tool to observe how his own habits of physical tension, particularly in the head and neck, contributed to his loss of voice. He found that these habits also disturbed the posture and coordination of his entire body. He developed a systematic means to recognize and stop the tension habits at the moment they arose, and used the split-second gap between stimulus and response to redirect his head, neck, and back into a more coordinated state. He recovered his voice, and gained unexpected improvements in health, posture, physical appearance and mental outlook. His method proved teachable. In 1904, Alexander relocated to London and set up a flourishing practice. He attracted the attention of prominent scientists, intellectuals and actors, who all related his practical discoveries about human functioning to their own fields of interest. The Alexander Technique has been used for over 100 years by people seeking improved health, better vocal production, and relief from stress-related disorders.